Our welcoming Ormskirk Estate Agency branch is located in the centre of Ormskirk. You can find us at the bottom of Church Street, near the clock tower and facing Waterstones book shop. At Farrell Heyworth Ormskirk our well-trained team pride themselves on offering our customers the very best service. Whether you are looking to buy, sell, rent or let a property we're working longer and harder to help. Our Ormskirk team offer a wealth of local and industry experience and we combine this with the very best that technology can offer to give you a fantastic experience. Why not pop in and find out how we can help? What's it like to live in Ormskirk? Ormskirk is a traditional market town with a modern university town future, blending the very best of the traditional and contemporary. With the M58/M6 junction close by, and a train station with services to Liverpool and Preston, many local residents choose to commute. If you’re staying in town, Thursdays are market day and you can find a wide variety of independent retailers offering their wares. Entertainment can be found in a host of fantastic bars and restaurants. For those who like a little retail therapy, Ormskirk has a number of unique boutiques alongside the high street favourites you’d expect. Our Ormskirk Estate agency branch offers a diverse range of properties covering all budgets, ranging from student let investment opportunities to luxury homes in rural areas. As well as marketing properties in Ormskirk we also serve the adjoining villages of Halsall, Aughton, Rufford and Burscough. We'd be delighted to welcome you to our branch to help you find your perfect property in Ormskirk. 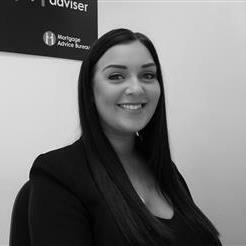 Lily began working for Farrell Heyworth in May 2016 and her enthusiasm, professionalism and passion for her role has seen her move from her role as a highly successful sales negotiator, to becoming the Branch Manager. Lily is the ideal person to help you find your perfect home. Lily has lived locally all her life, giving her excellent knowledge of the local property market and welcomes any questions that you may have. Rachel is the newest member of the Farrell Heyworth Ormskirk team, joining the office in 2018. Rachel has several years of experience within the Conveyance and Sales sector, bringing great knowledge to the team, and a passion for the property market. Rachel’s enthusiasm, knowledge, and friendly manner will ensure that the process of buying or selling your property will run as smoothly as possible. Jean has over 20 years experience working in estate agency. She has a vast knowledge of the property sector and is always happy to help! Having raised a family locally, Jean has extensive area knowledge to help you find your next home. Russ has been a local property expert for many years and is committed to delivering a high level of customer service to all our clients. Russ's personality and individual nature shine through and he is able to share his expert knowledge of Southport to our landlords and tenants alike. Richard has a strong knowledge of the local area born and raised in Lathom. 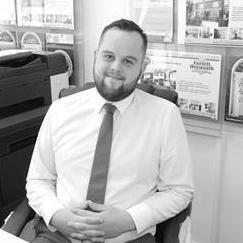 He comes to the company with an excellent customer service background which is ideally suited for Farrell Heyworth. Having a passion for property from a young age Richard strives to help anyone sell and find a new home with a smooth transition. 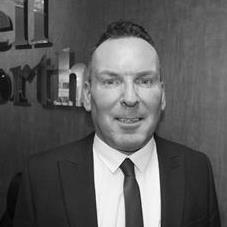 John-Paul brings to Farrell Heyworth over fifteen years’ experience in financial services. 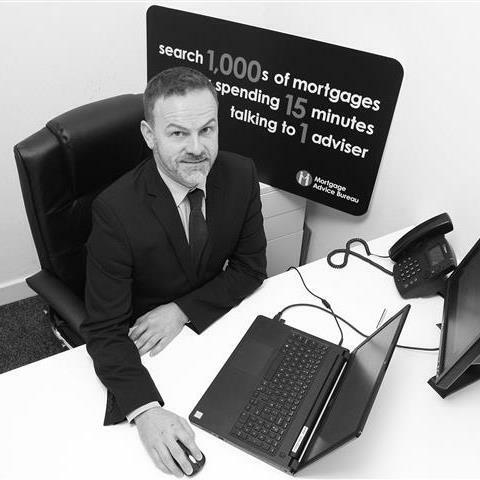 As part of Mortgage Advice Bureau, one of the UK's largest high street mortgage brokers, John-Paul has access to a huge range of mortgage lenders and products to ensure you get the most suitable mortgage for your circumstances. So whether you're buying your first home, moving house, investing in property or simply looking to save money on your mortgage give John-Paul a call today. Request a viewing, call Ormskirk on 01695 570075 or submit the form below. To book your free property valuation, call Ormskirk on 01695 570075 or submit the form below. Request a callback, or contact Ormskirk on 01695 570075. You can order a Homebooster for your property online, or by calling Ormskirk on 01695 570075 or submit the form below. Call Ormskirk on 01695 570075 or submit the form below.